Minsk has recently reaffirmed its status as a regional diplomacy hub. Western governments have been eager to praise Belarus' role in the Ukraine peace process and became receptive to the Belarusian regime's ideas on reformatting the Eastern Partnership initiative. This week not only politicians but experts as well will come to Belarus to discuss acute regional problems at the Minsk Dialogue conference on 26 – 28 March. Experts from leading European and Russian think tanks, such as Chatham House and Ośrodek Studiów Wschodnich, will focus on how to bridge the growing divide between two regional initiatives – the Eurasian Union and the Eastern Partnership. Over the last several months Minsk hosted a series of talks in various formats on the crisis in Ukraine. This comes as a continuation of the tradition of Belarus serving as a venue for international diplomacy. In fact, Minsk hosted more high level and symbolic regional meetings in the last decades that most nearby capitals. In December 1991, leaders of Belarus, Russia and Ukraine, still parts of the USSR, came to the Viskuli ​hunting estate in Belarus to carry out negotiations which resulted in the dissolution of the Soviet Union and the creation of the Commonwealth of Independent States. Since then, Minsk boasts of an informal status of the "CIS capital", where the organisation's Executive Committee, Economic Court and some specialised agencies reside. The Belarusian capital also hosts the Court of the Eurasian Economic Union. Minsk has become a preferred homebase for numerous post-Soviet integration summits. In 1992, Belarus offered its capital city as a venue for the awaited peace conference on Nagorno-Karabakh. The conference has yet to happen, but the Belarusian capital has already lent its name to the OSCE Minsk Group dealing with this conflict. Recently, Foreign Minister Vladimir Makei met in Minsk with the Group's co-chairs to discuss Belarus' potential contribution to the peace process. Minsk obtained international recognition of its status as a regional hub of diplomacy when it hosted a series of important meetings seeking to resolve the crisis in Ukraine. The first major meeting took place in August 2014 and brought to Minsk the presidents of Kazakhstan, Russia and Ukraine and three top EU commissioners. The second, in February 2015, gathered Angela Merkel, François Hollande, Vladimir Putin and Petro Poroshenko together in Alexander Lukashenka's lavish Minsk residence. Minsk, chosen for its logistical and political convenience, has demonstrated ability to organise intricate international meetings in an expedient and efficient manner. This week Minsk will also become a venue for a major expert meeting. As a result of historical, linguistic and visa issues, very few forums exist where experts from post-Soviet countries and their Western colleagues can exchange views and formulate advice for decision-makers. Think tanks remain largely national initiatives, rooted in the views of one country. Analysts from two different worlds often live in their own bubbles because of language barriers, a lack of open communication channels and financing. Minsk has an excellent chance to become a hub of productive dialogue among post-Soviet and Western think tanks. Belarus has close relations with Russia but it has never severed its civilisational ties with the Western world. It also uniquely belongs to both the Eastern Partnership and the Eurasian Union. The Minsk Dialogue conference, which will take place in Minsk on 26 – 28 March, has the ambitious goal of establishing a unique platform to bring together think tanks from East and West for regular expert meetings and joint publications. Two Belarusian think tanks – the Liberal Club and the Ostrogorski Centre – have been working together to make the first Minsk Dialogue event happen. The Ostrogorski Centre is a private, nonpartisan policy research outfit uniting experts based in Belarus and elsewhere in Europe. The Liberal Club is a Minsk-based NGO that organises regular public events involving the government, opposition and independent experts from Belarus and the region. "The EU – Russia – EAEU summit in August 2014 in Minsk made me think of Belarus as a potential Eastern European Switzerland, sort of a diplomacy oasis. I wondered whether it would be possible to organise an expert dialogue alongside official diplomacy. 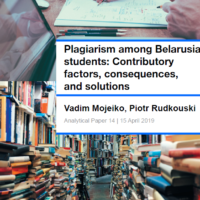 Remarkably, most of my contacts among diplomats, officials and analysts met this idea with enthusiasm", says Yauheni Preiherman, policy director at the Liberal Club and a regular contributor to Belarus Digest, a project of the Ostrogorski Centre. The inaugural Minsk Dialogue conference, sponsored by the European Commission, PACT and other donors, will focus on developments in the EU and Russia's shared neighbourhood. It uniquely convenes experts from Russia, the EU, and post-Soviet countries caught in between both entities at the same table in the midst of the Ukraine crisis. The event will bring together up to thirty leading researchers and political analysts from the European Union, Russia and Eastern Partnership countries. Arkady Moshes from the Finnish Institute of International Affairs will chair the session "The Eurasian Economic Union: Legitimate Grouping or Veil for Revanchism?". James Nixey (Chatham House, UK) will steer the debate on the causes for the regional divide. Belarusian and foreign diplomats will make their contribution to the Minsk dialogue. A representative of the Belarus Foreign Ministry will open the conference, held in a prestigious hotel in downtown Minsk and at a scenic club just outside of the city. Ambassador​ Maira Mora, Head of EU Delegation to Belarus, will lead the discussion on the reform of the European Neighbourhood Policy. According to the conference programme, except for the introductory session, the event will take place under Chatham House Rules so that the participants can engage in open and sincere debate. As the event takes place two months ahead of the Eastern Partnership summit in Riga, the experts will focus on formulating concrete recommendations which will be presented to policy-makers in Riga. The organisers hope to transform the conference into a durable and inclusive expert network capable of promptly reacting to the ever evolving situation in the region. Experts' qualifications and the reputations of the think tanks they represent guarantee that the decision-makers will give a fair hearing to their recommendations. Yarik Kryvoi is Editor-in-Chief of Belarus Digest and the founder of the Ostrogorski Centre. Igar Gubarevich is a senior analyst of the Ostrogorski Centre who in the past worked in various diplomatic positions at the Belarusian Foreign Ministry. Belarus' law enforcement agencies still do not know how much money they receive in 2015, while all remains quiet on the Belarusian border. Less than they would like but better than nothing – the Belarusian Air Force and Air Defence Force received new weapons purchased for them in small batches. The Belarusian head of state informed the military how they would live from now on, and he has not promised them an easy time. Alexander Lukashenka announced what would happen with the army. On 19 February, Alexander Lukashenka met with the officer corps of the Ministry of Defence. During the event, the Belarusian leader made a number of statements in his traditional manner. Thus, Belarus remains open to constructive dialogue with NATO based on the principles of parity and transparency. At the same time, the country's participation in the Collective Security Treaty Organisation guarantees its national security and regional stability. The Ministry of Defence has developed relevant policy documents to support strengthening the army. In short, everything that requires an upgrade should be upgraded. Lukashenka implied that there would be no mass rearmament just yet. Troop numbers and combat personnel have mostly been optimised at this point. Lukashenka expects to see the future direction of the Armed Forces reform in the new edition of the Military Doctrine of Belarus. The modernisation of the army should be mostly complete by 2020. Lukashenka promised to allocate the necessary financial resources to modernise the Armed Forces and its military equipment and to purchase new weaponary. Lukashenka also intends to personally inspect Armed Forces' officers physical and combat preparedness. The Belarusian leader said that he had no intention of abandoning territorial defence because "armies win battles but nations win wars". The Ministry of Defence, supported by other government agencies, should continue to play a leading role in this arena. Thus, attempts by the military to get rid of this troublesome task (territorial defence) may yet fail. The Security Council should control the building of the territorial defence system. Lukashenka demanded that ironclad discipline be enforced in the army. "The army penetration of such dangerous phenomena like corruption and malfeasance gives a particular reason for concern; a betrayal of the interests of the service is especially unacceptable", he said. Lukashenka also requested to solve problems surrounding flight operating safety in the Air Force as soon as possible. "The Ministry of Defence takes inadequate, and sometimes, ineffective measures", he said. However, for some reason, he never mentioned the obsolescence of equipment and the need to replace it. "You won't find it funny if I hear about any accident in the Air Force again", the Belarusian leader said next. The head of state pointed out that threats to national security begin with destabilisation of the situation within a country. "Nobody has guaranteed us a quiet life", the Belarusian leader stressed once again. The Belarusian government still counts on Russia's support, but it will rely on its own forces as well. Lukashenka gave an order to prepare the troops without the support of the Russian army. Contrary to expectations, the government failed to introduce in February a new state budget for 2015. All law enforcement agencies are operating under severe budget constraints despite the authorities' assurances that they will satisfy the agencies' financial requirements. Both external and internal factors have obviously caused the delay in adoption of the new budget. There is no clarity about the size and terms of Russia's financial support in 2015. The economic situation may be worse than the government has predicted. The budget may shrink significantly, resulting in a serious redistribution of public finances. On 3 February, the State Border Committee summed up the results of its activities over the past year and shared some plans for the current year. In 2014, the number of offences on the border went down significantly (by 14%). The nature of the occurrences show they present no threat to Belarus' border security. Illegal migration, smuggling of drugs and weapons and other forms of cross-border crimes brought the main risks. Meanwhile, there was word of a forthcoming contract to be signed that would supply four two-seat gyroplanes of the Calidus series manufactured by the Russian company AutoGyroRussland to the State Border Committee. The first gyroplanes will arrive in Belarus as early as mid-April. The gyroplanes will be equipped with 24-hour surveillance cameras and other equipment needed to patrol the border. Interestingly, Russia's Ministry for Emergency Situations and the Federal Protective Service also purchased some, but so far for trial operation only. The Pinsk border detachment has begun forming two units, which will be equipped with UAVs and a gyroplane. The gyroplane will be fitted with surveillance systems. The main task is to find pilots to fly them and technicians to service them. On 10 February, the Air Force made public its plans to replace its aircraft L-39 with the Russian-made Yak-130. They plan to phase in training for the new equipment, and then they will phase out the old equipment. 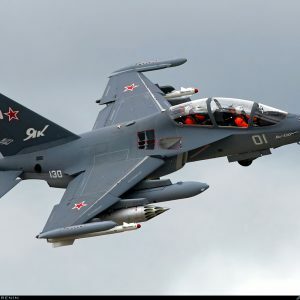 The implementation of the contract for the purchase of the first flight of four aircraft Yak-130 is in its final stages. In February, technicians and pilots were trained in Russia and will return with the new planes. During their first year of operation, the manufacturer will provide technical support to the Belarusian Air Force. The Belarusian aviators would like to purchase another batch of Yak-130s later on. Additionally, plans have been made public to equip the nation's radar troops with new locally manufactured radars Vostok-D (one unit) and Rosa-RB (two units). Thus far, the automated control system complexes of Belarus' Air Forces and Air Defence radar troops have seen 90% of there wares upgraded and the radar reconnaissance equipment is 35% renewed. The upgrade is scheduled to continue until 2020. In December 2014, they announced plans to purchase three or four units of the Rosa-RB in 2015. Obviously, the financial crisis has had an impact on their plans.